Phil Keen and Jon Minshaw claimed victory in the final British GT Championship race of the season, but it wasn’t enough to stop Flick Haigh and Jonny Adam from winning a historic GT3 title. 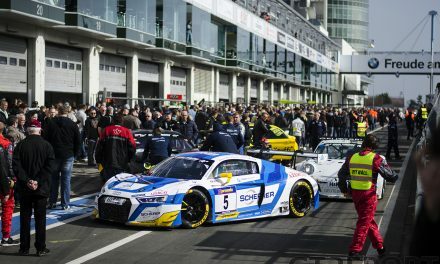 In GT4, Jack Mitchell managed a late stop-go penalty to claim the drivers’ championship by a single point from his Century Motorsport team-mates. 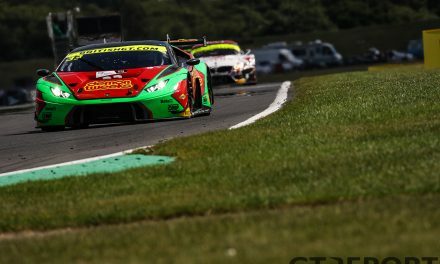 At the start of the race, Minshaw quickly pulled away in the Barwell Motorsport Lamborghini Huracán GT3 as team-mate Sam De Haan struggled to match his pace. So quick was Minshaw’s pace, that at the end of the first lap he was already 2.061sec to the good. 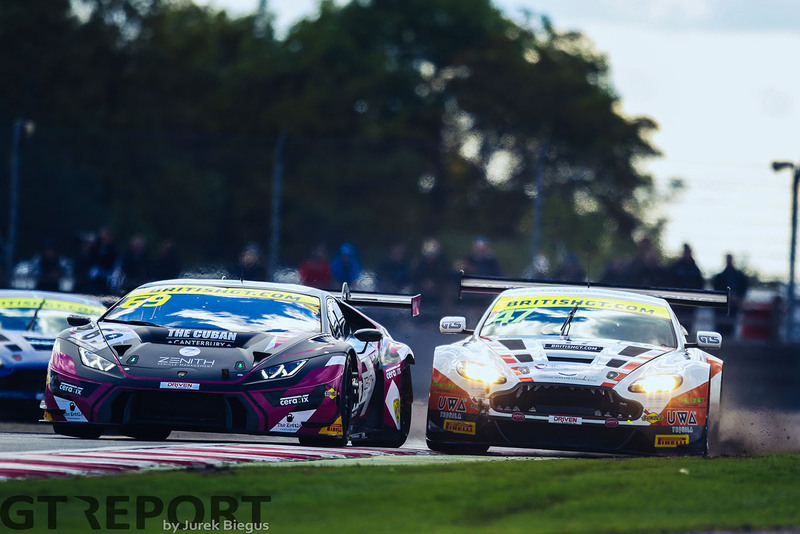 With Barwell maintaining a one-two at the front, De Haan was holding up the battles behind as Haigh and Jetstream Motorsport’s Graham Davidson battled for third in their respective Aston Martins. The pair swapped positions on a number of occasions as they matched each other’s lap times at the start of the two-hour encounter. Haigh’s battle with Davidson wouldn’t match too long however, as the Scot squeezed his way past De Haan’s robust defensive work and moved into second. Unfortunately, Davidson was forced to make a trip to the pits as he was caught out by oil left out on track at Redgate. “At turn one I was tip-toeing because of the oil out on track,” he explained. “I couldn’t see where the oil was so I took the inside line and a BMW took the outside. However, the BMW pulled inside slightly and when I went to brake I lost traction and caught him at slow speed. He jumped into the pits at the same time the safety car came out to allow marshals to treat the circuit for a substantial amount of oil on track. 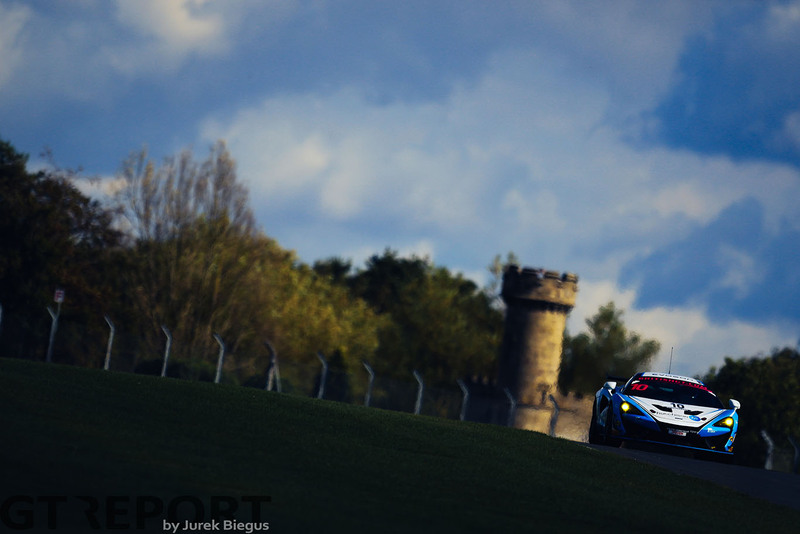 After the 13-minute intervention, places quickly started changing as Mark Farmer moved up from fifth to second in quick time as GT4 traffic came into play. Moving into fourth was Derek Johnston in the second of the two TF Sport Aston Martins as he relegated Haigh to fifth. Johnston didn’t last much longer though, on his final race before retirement, as damage to his Vantage proved too much to race through and he was forced to park at the side of the road. 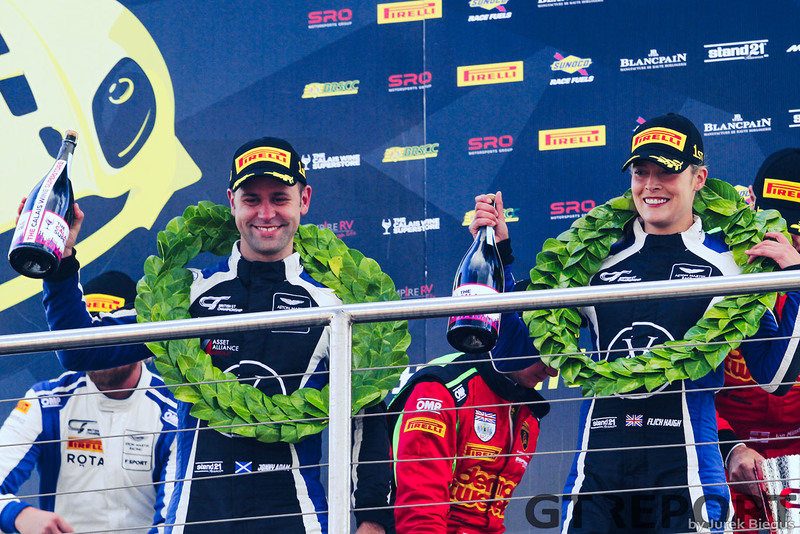 While Johnston retired, Haigh fell another place as Rick Parfitt continued his great start to the race as he moved up from last in class to fifth – eventually handing the Bentley Continental GT3 over to Ryan Ratcliffe in second place. 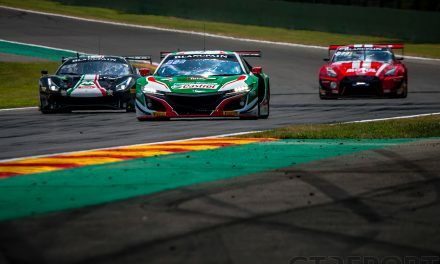 In GT4, the battle was heating up as Daniel McKay – in the front-row starting Equipe Verschuur McLaren 570S – was engaged in a fight for the lead of the class with the Century Motorsport BMW of Ben Green with the pair pressuring each other at the head of the field. As the pit window opened, McKay took a decisive advantage with Green down to second. 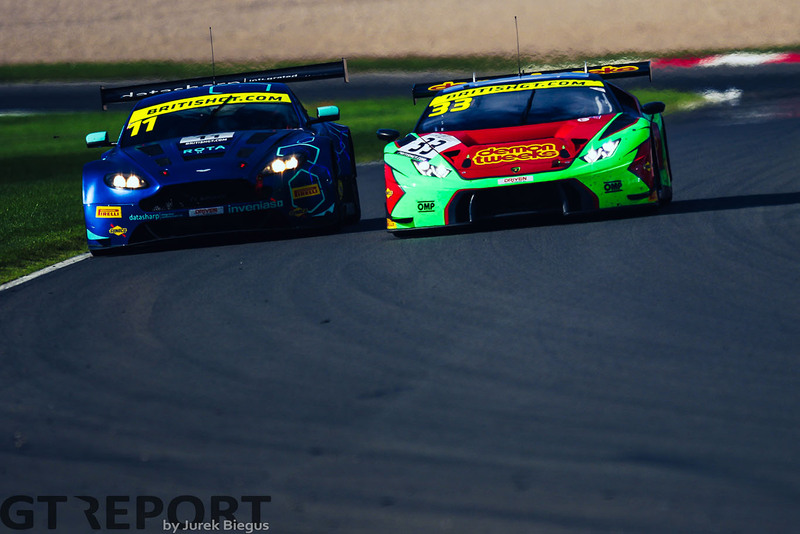 With less than 40 minutes on the clock – and Phil Keen off in the distance in the Lamborghini – the emerging battle was between third-placed Ratcliffe and Adam in fourth. Ratcliffe was using every inch of track possible in his fight with the Scot and appeared to be keeping the Optimum car in his mirrors. 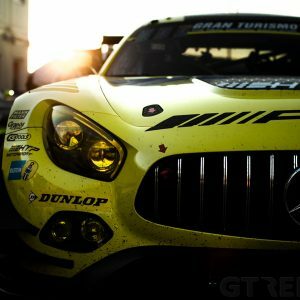 However, Yelmer Buurman in the ERC Sport Mercedes-AMG GT3 quickly dispatched Adam and then Ratcliffe – effectively breaking the Welshman’s resolve in the process as Adam wasted no time to also demote Ratcliffe down a place. For a time, it looked as though Adam would try and chase down the Dutchman to claim a place on the podium but with the title secure if he remained fourth, the two-time champion decided to keep the car in one piece and allow Buurman to power off down the road. 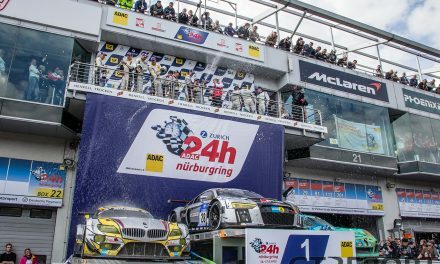 At the front, a battle was emerging between his title rivals Keen and Nicki Thiim – who had taken over the TF Sport car from Farmer – as the Dane reeled in Keen and claimed the lead as he went side-by-side with the Lamborghini driver down the Craner Curves. 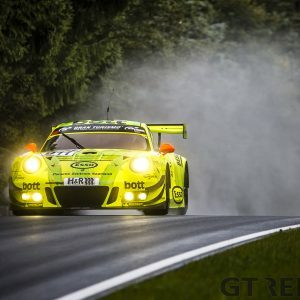 The race settled down in the closing 15 minutes for the GT3 class, but a 30 second time penalty for Thiim – in lieu of a drive-through penalty for track limits violations – demoted him to second and gave Keen the win. It wasn’t enough for the Barwell pair to claim the title though, as Adam and Haigh held an 11-point advantage in the drivers’ standings by finishing fourth. 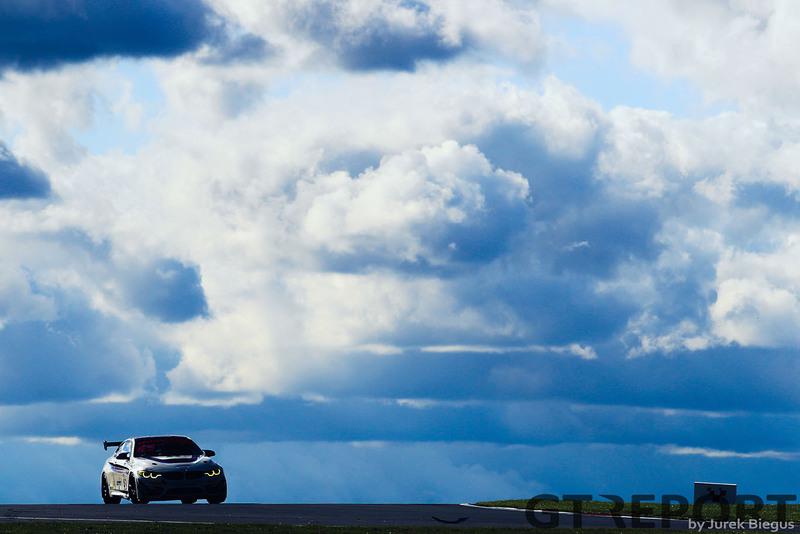 While GT3 was settled relatively comfortably, GT4 was proving to be nail-biting. A drive-through penalty for Jack Mitchell looked to have taken the title away from him, but a similar penalty for Ben Tuck swung the balance of power back to his team-mate. When Mitchell moved up to eighth – at the expense of Jason Wolfe in the Invictus Games Racing Jaguar F-Type – the title was secured by a single point over the Bens. Mitchell’s late move proved to be heart-breaking for the Tolman McLaren of Michael O’Brien and Charlie Fagg as well. The pair finished second in class after a great race for them, but lost the championship by just two points. 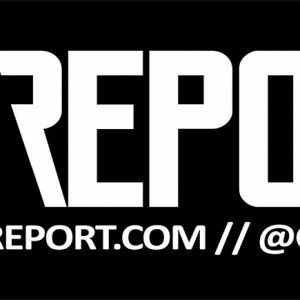 Keep reading GT REPORT this week for interviews with both class winners.